Bringing a young puppy into your home can be a very stressful time for both you and your new puppy. Puppies need lots of attention, just like any other babies, and they can be very time consuming. Sometimes owners become very frustrated early on into their new adventure and this can affect your relationship with your new puppy. It is important in the first few weeks that you bond with your puppy. These first few weeks are critical to your future relationship with your puppy and the added pressure of your puppy peeing on your favourite rug, chewing your favourite slippers or terrorising your young children can become too much. The Puppy Power Guide is designed to help owners who have just brought a puppy home to overcome very common training problems. 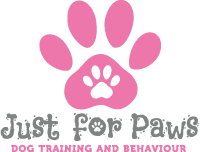 The service is preventative in order to help you in the early stages of your puppy’s development, and to prevent common future training or behavioural issues. 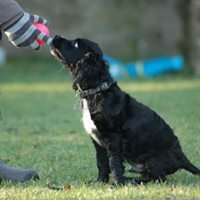 The service offers helpful advice, in your own home either before or after puppy has arrived, covering all puppy topics including how to successfully toilet train, crate train, helpful tips on mouthing and nipping, barking or whining and any other common issues most new puppy owners face. Please email us if you would like further details on this really useful scheme. 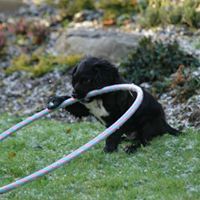 Here at Just for Paws we believe getting your puppy the best start in life is vital. Making sure that you provide the right type of socialisation for your dog is critical to their mental health and wellbeing. These days everyone thinks they are a dog expert, but we really are! All breeds of puppy need to be carefully exposed to everything that they are likely to come across in later life, so that they develop core life skills. It is important the type of socialisation they receive is suitable for their future lifestyle. One of the biggest problems with socialisation these days, is people misunderstanding what it actually is. Socialisation is about exposing your puppy to the real world, not just other dogs, to help them learn desirable life skills. Did you know that for most puppies, by 16 weeks of age, the socialisation window is over and anything they are exposed to after that is no longer classed as socialisation? This is because, even after birth, puppies brains are still ‘wiring’ certain connections. By the time they are 16 weeks old the puppy brain is fully developed and the socialisation window is closed. This means that no matter how hard you try to ‘socialise’ your dog after this period, it just can’t be done. 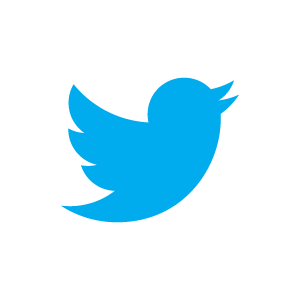 So what is Socialisation? Socialisation involves ensuring that your puppy has positive experiences with all sorts of different things; different types of people such as men, women and children; different types of environments, like vet surgeries and dog grooming facilities, the local park and shopping centres; large crowds of people like at dog shows; household noises like washing machines, tumble dryers and vacuum cleaners; travelling in the car; different types of wildlife; other adult dogs or household pets. The list really is endless! Most puppies join their new families at approx. 8 weeks of age. That only leaves you another 8 weeks to expose them to their new lifestyle. 8 weeks is really not a very long time at all. 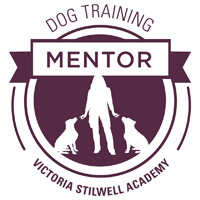 So if you want your puppy to get the best start in their new life, why not come along to one of our Masterclasses to see what ‘Socialisation’ is actually all about? Our Puppy Socialisation Masterclass is available to any breed of puppy aged up to 16 weeks. We offer carefully supervised activities, and a weekly diary of activities, to make sure you can give your puppy the best start, the right way. All of our puppy experts are qualified and experienced to help you turn your puppy into a happy dog. By socialising your puppy correctly, under the guidance of a qualified professional, you can help to prevent any behavioural problems in later life, including fears and phobias. Our Puppy Socialisation Masterclasses are held every Thursday evening at Sale Moor Community Centre, Sale. Please contact to book.